The Sovtek EL84 series produce an unbeatable smooth, warm, distortion. Excellent replacements in vintage VOX AC-30's and the like, these EL84's are used by Fender, Crate, and Peavey. I played both heads at rehearsal tonight, and they sound great, thanks! A few days ago I was given a CM 12AX7 - 6BQ5 Push Pull console amp by my father-in-law that he purchased new in 1959. He told me that is quit working sometime in the 1970's. After removing the amp, I noticed that one of the 6BQ5's was a milky white and was cracked around the bottom which became two pieces when I removed it... Time to give Doug a call and order a new matched quad for the old girl. 3 business days later they arrived. Pretty good for a New York to Seattle delivery. I plugged them in and fired it up. (details of 3 days of visual inspection, fabricating a power switch, testing, cleaning, and wire brushing the chassis omitted) a warm glow from all the tubes was accompanied by the sound of Sarah McLachlan's voice! With this Matched Quad of Sovtek EL84's from DOUG's TUBES, I can listen to the "British invasion" the way it was meant to be heard and experience vocals as if Sarah Mac or Stacy Kent were in the room. 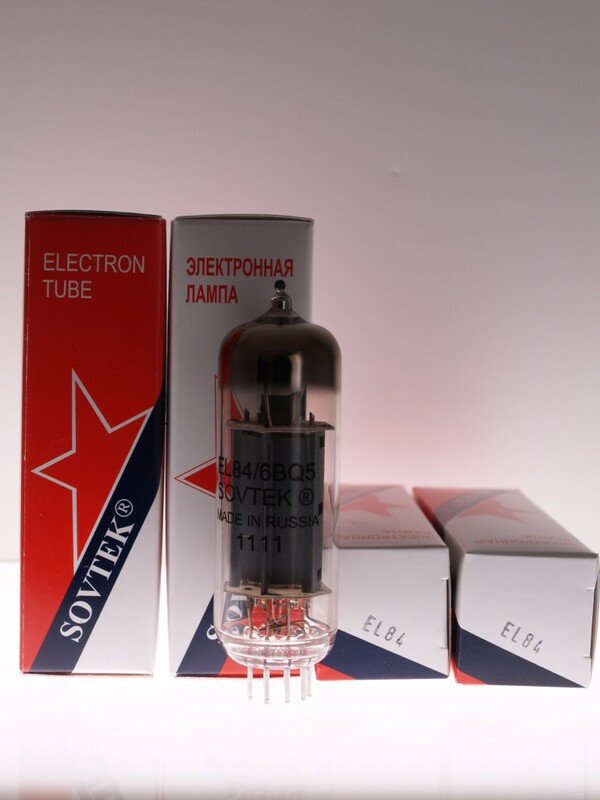 Hi Doug, I received and installed the Sovtek EL84 tubes and I like how they sound. Thank you for the advice. Ill be buying the 12AX7 tone kit soon. I decided to replace them with the same brand. So I bought two of these, stuck them in, and everything is great! Very nice gain, plenty of headroom, nice transition from clean to clipping. Just wanted to say how happy I was with my purchase. I went from email sent asking for a tube recommendation to having the perfect tubes at my door in four days. Fantastic customer service and the tubes you recommended are absolutely perfect. I'll be back for all my tube needs, thank you again.